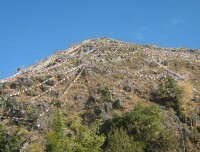 Buddhist Pray Flag Around the Halesi Maratika Cave. Views from Halesi Mahadev Everest Range. Sunkoshi Bridge( Pul) Between Udaiour and Okhaldhunga Jairampul / on the way Halesi. 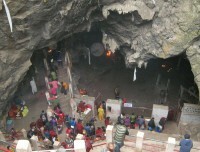 Halesi Maratika Darshan ( Cave) is located at Khotang district of eastern Nepal and Halesi Maratika (Halesi Mahadev )is equally important for the Buddhist and Hindus. 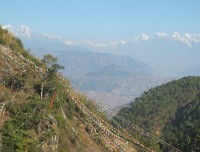 The temple is located in a mysterious beautiful cave on a hilly region of the countryside in between the rivers Dudh Koshi on the right Sunkoshi on the left. Maratika Tibetan means “Eliminates from death” the Maratika is rich in history, mythology and sacred geology despite. 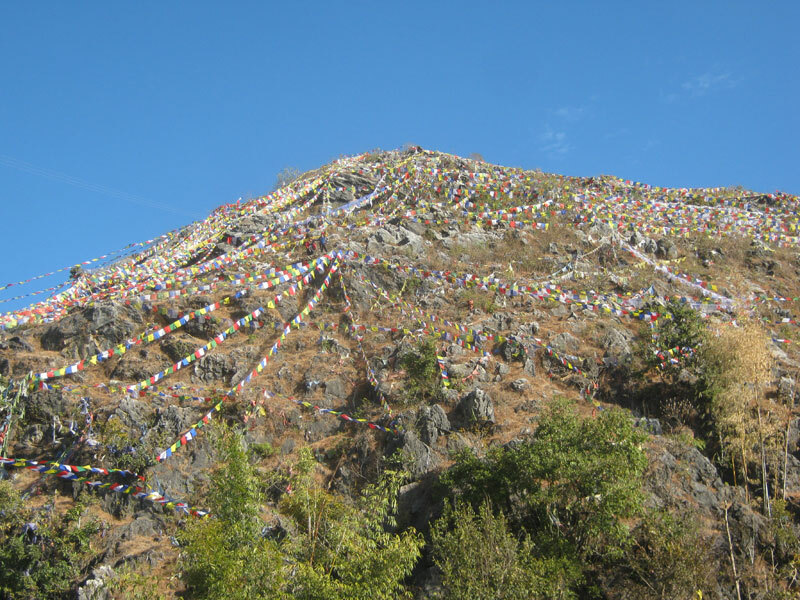 it is the site of immortality, one of the six supreme pilgrimage sites in the world where the great master, the second "Buddha Padmasambhava" and Dakini Mandarava obtained the realization of immortal life. Maratika was also blessed by the family of three protectors Manjushri, Vajrapani, and Avalokitesvara. for many years the sacred caves of Maratika have been a very important pilgrimage destination for Buddhist seeking to engage in the long life practices. For the Buddhists Halesi Maratika: this is where Guru Padmasambhava (also known as Guru Rinpoche) and his consort Princess Mandarava, attained immortal life (a state beyond birth and death) through their meditation and for this reason Maratika is considered a place to pray for long life. For the Hindus Halesi Mahadev: the legend goes way back to Lord Shiva, who has given a boon to a demon to kill people instantly upon touching their heads; he thus turned on Shiva to kill him. Shiva took refuge in the Maratika cave and this place is now understood to be where real devotees may fulfill their every wish. 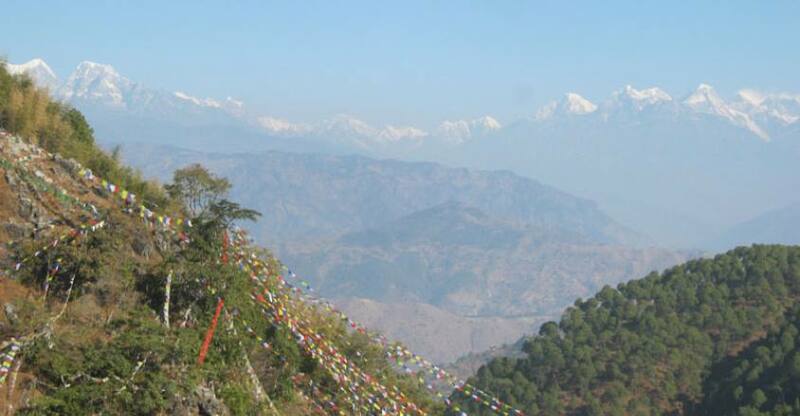 Halesi Treks Pvt.Ltd organizing this Halesi Maratika tour since 2012 regularly. According to your special time and groups. Ghostly Dwar: This Ghoptay Dwar is a Nepali word which means downward facing the door. It is located to the Northwest of the image of the god. People enter here from the South and come out of the North. It is about 9 feet long. Janma Dwar: A little further the Ghoptay Dwar to the east after walking 6 feet sliding way we can get to another door where one is allowed to enter first by putting one leg and the head carefully. It is Janma Dwar which means the birth door. Pap Dwar: the East-South of the image of the god, there is another door called Pap Dwar. In this door, people enter from the east and come out hard from the West. Dharma Dwar: After praying the Halesi Mahadev when we move forward in the West-North there are two 9/9 feet square shaped stones with a small gap between them. There is a tradition of going in and coming out from that gap. This gap is called Dharma Dwar. Swarga Dwar: There is another famous door called as Swarga Dwar. It looks really amazing if it is viewed from Yagya Shala, close to pap Dwar. People can't reach there, as it is located really in a difficult place where there is no way to get through. It may have been named Swarga Dwar as Swarga in Nepali Means heaven where no people can reach and live in. there is a legend that people who are really religious can easily enter the four dwars. but those who are not religious they cannot enter any of these dwars. Lord Vishnu was the first ever devotee to pay homage to the Halesi Mahadev in the Satya Yuga, the golden age whereas Balaram did in the third age called Dwapar Yuga. Afterward, many kings, sages, devotees, philosophers, thinkers, hermits, abbots, ascetics and Shankaracharya have been paying homage to this sacred place. During the homage hours, kettledrum, cymbal, clarinet etc, there is a custom of performing special ceremonial rites of the Halesi Mahadev during some festivals such as Bala Chaturdashi, Shiva Ratri, Ram Navami, and Teej etc. In between, devotees perform various other religious performances like fire sacrifice and recitals of the Rudri, the Chandi and the Vedas, our religious epics, burning of 10 million holy threads and offering millions of wood apple leaves etc. The Halesi Mahadev is taken as the god of fulfilling wishes and giving boons to the real devotees. So devotees vow solemnly and act accordingly as their wishes have been fulfilled. We believe this is only the place for the people all over the world to visit once in a lifetime and watch the beautiful, mysterious amazing and purely religious place where the people are traditionally rich in their culture. It is really a matter of pride to all of us. Day 03: Drive Kathmandu to Halesi Maratika cave 6/7 hrs. Day 04: Visit Maratika Cave (Halesi Mahadev Temple) Drive back to Kathmandu 6/7 hrs. Hotel in Kathmandu on Bed and Breakfast. Hotel in Halesi with breakfast, Lunch and dinner. Kathmandu to Halesi to Kathmandu private transportation. Sightseeing tour in Kathmandu by private vehicle as mentioning trip schedule. Halesi Treks warm welcome you at the Tribhuwan International Airport. Transfer to the hotel and describe the tour programs. Overnight at hotel. After breakfast, we start an interesting tour around Kathmandu city. Escorting with a tour guide you will explore our culture, heritage, and local people. In our sightseeing tour, we go to Pashupatinath Temple, Swayambhunath (Monkey temple) and Kathmandu Durbar square. Overnight at hotel. Early in the morning drive from Kathmandu to Halesi Mahadev temple 223 Kilometer from Kathmandu. 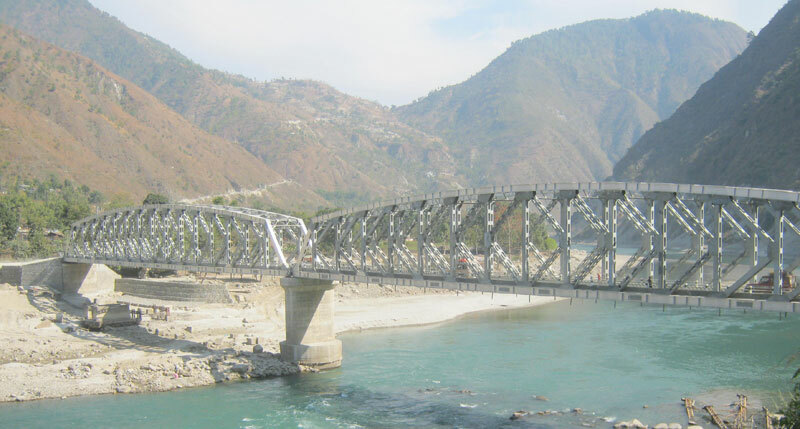 We will drive via Dhulikhel, Khurkot, Ghurmi, Jairamghat and we can enjoy with beautiful Landscape with Sunkoshi River. We will take our lunch on the way whole the lunch we rest. And after that our journeys again start to reach Halesi. The evening we will make the campfire. Overnight at Guest House. Today early in the morning explore Halesi Maratika cave. 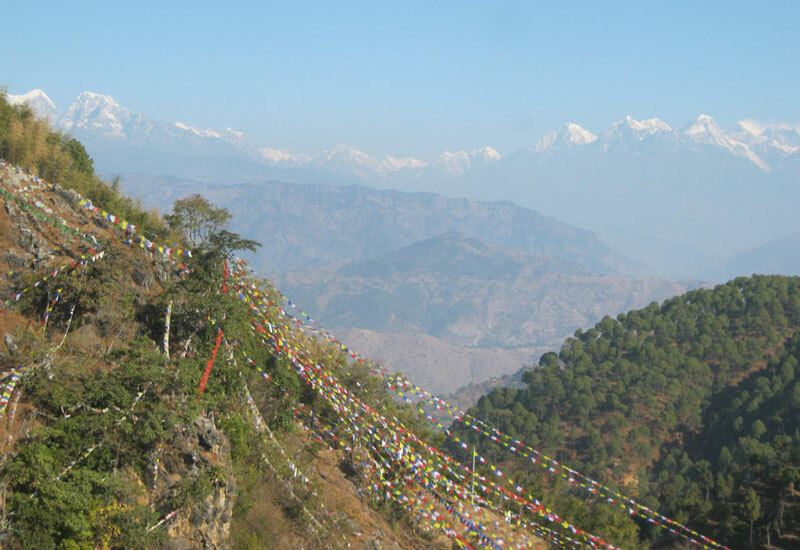 Halesi Mahadev is a popular pilgrimage for both Hindu and Buddhist, the temple situated of 1355M. 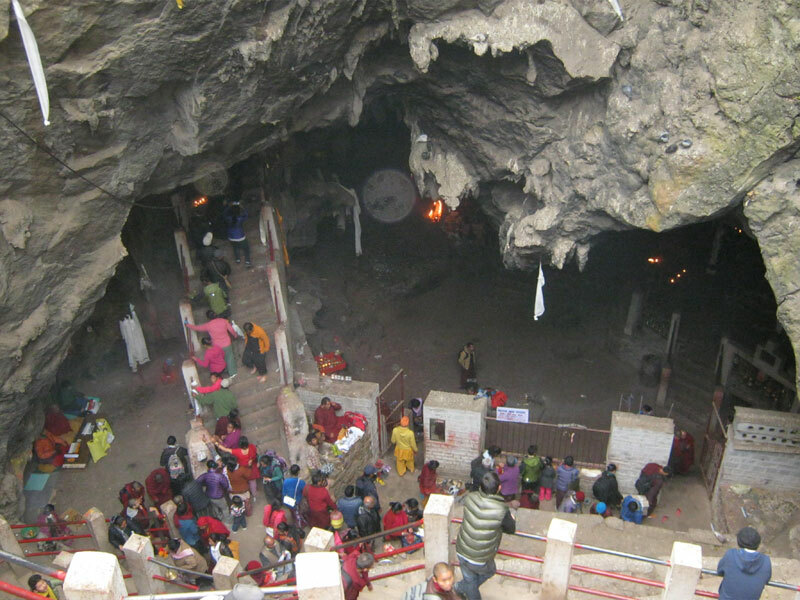 The temple area has three caves the believed to represent three eyes of Lord Shiva. 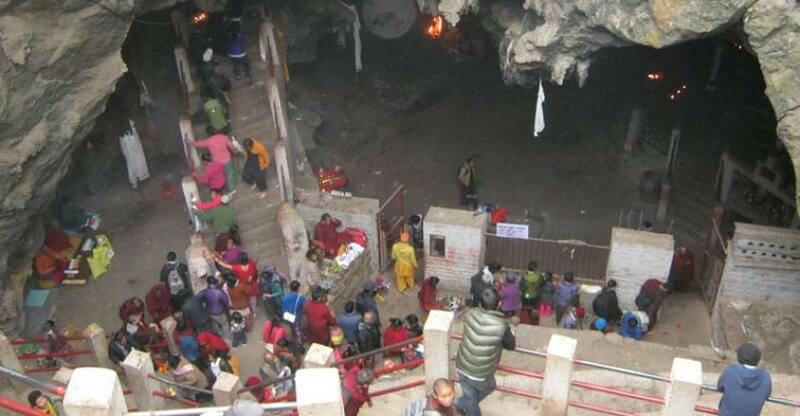 Buddhist worships the caves as Maratika monastery, believe that Padmasambhava (the founder of Tibetan Buddhism the great rempoche) and his wife Mandarva freed themselves from the circle and thus became immortal in these caves. And you will arrive at the big red stone which is revered as the images of Lord Shiva and his consort Parvati. It was lies between the holy rivers of Dudh Koshi to the right and Sun Koshi to the left. After the visit and pray at the holiest place you will return back to hotel and breakfast then drive back to Kathmandu As the previous day you will return back to Kathmandu by the same transportation.overnight at the Hotel. you will have some free time until the time to leave the international airport for your final departure.